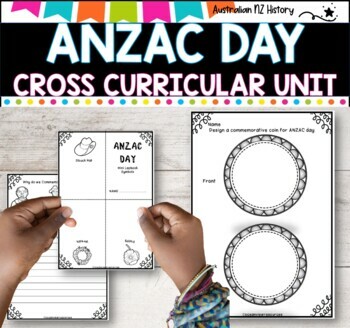 This ANZAC Day Resource Pack and unit planner will help you to prepare your planning for ANZAC day. 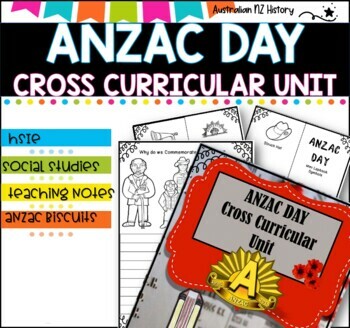 This includes a time and money saving cross curricular unit comprising 30 pages of printable activities, links and websites which will lead you to a host of units of work, downloads, writing prompts, videos and resources to use with IWB. 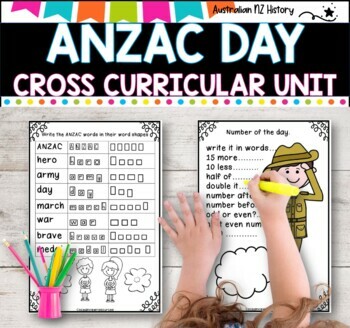 A small investment for a treasure trove of information. 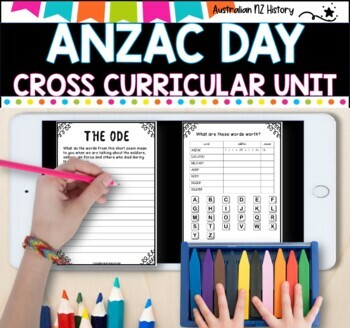 This book is comprised of printable pages for you to use with your students and a great selection of links to take you to free downloads, YouTube links and more. •	Please go to your My Purchases page. Beside each purchase you'll see a Provide Feedback button. Simply click it and you will be taken to a page where you can give a quick rating and leave a short comment for the product. The best part is that you earn credits toward future purchases every time you leave feedback! •	Look for the green star near the top of any page within our store and click it to become a follower. Once you follow us, you will receive an email each time we add a new product to my Oceanview Resources store on TPT!